In a world of enlightened customers, you need a different strategy. We help Customer Success teams, leaders and professionals achieve their business & career objectives through proven methodologies. Who are these Enlightened Customers? I’m going to be very blunt here. Getting my first management role in Customer Success was extremely difficult. It was 10 years after I started in Customer Success that I was eventually promoted to VP. This was no easy or simple feat. The mental punishment I absorbed over the years could have overwhelmed me. It did the opposite. It pushed me, as it still does today to work harder, reach higher and never stop learning. Beyond having the necessary drive and grit, there are some things to keep in mind for those that want to move into Customer Success leadership roles (or any leadership roles) that helped me along this journey. I had the pleasure of sharing them at Totango’s Customer Success Summit and have “briefly” summarized them here. I’ve tried to highlight ten tangible things that you can do to help ascend in your career. I’ve also provided examples from my own successes and struggles. As you read through these, you’ll see how interrelated they are. I hope you find them useful. Find the gaps and fill them. To move up and exceed expectations, it’s not enough to be the best in your role. You need to look for process and product gaps and try and fill them. When I was at Eloqua, I realized that we didn’t have any formal training courses covering a key area of importance of our customers. I raised this internally and didn’t see any movement due to other pri orities so I created these videos on my own time knowing that they would help our customers as well as my teammates. They became very useful and helped drive user adoption. Help your team, the company, and the world. I had a mentor that gave me some of the best advice which I’ll pass on to you. He told me to go to the other departments and ask them what they need (rather than complaining about what you need). While you may be busy in your current role, if you want to start to win friends and influence others, you can do it by building relationships outside your own department. This will require you making the extra effort to meet with colleagues outside your own team and take on additional projects but it will be worth it. There are usually some quick wins. Even just listening to a colleague from Sales about their issues can help build your reputation as empathetic leader. In addition, always try and share best practices that you’ve learned with your entire team and the company – don’t keep them bottled up in your head. I went to the next level and have created blog posts like these to share my knowledge with the greater Customer Success community. This has helped me gain global recognition by making the top 25 CS Influencer list in 2017. Keep thinking bigger. Help with hiring. Getting involved with hiring and being part of the candidate selection process is important. These are some of the most difficult decisions your manager will make so the more thorough you are with candidate interviews and the easier you make the selection process for your superiors, the bigger the possible reward is for you. In addition, ask to mentor new employees. You’ll have an opportunity to demonstrate your leadership abilities. Be assertive, step up and stand out. Sacrifice. Be prepared to make sacrifices when moving into senior management roles. You will have greater responsibility which will require more of your attention and time. Look for opportunities to demonstrate this to your manager to show them you have what it takes. In addition to time, when I accepted my new role at Influitive, I had stock options that hadn’t vested from Eloqua and I took a 30% pay cut. These sacrifices were worth it as I had an opportunity to take my career to new heights. You have to be willing to sacrifice to move up. Take risks. You will need to take risks either as a leader or on your path to becoming one. This could mean championing a risky initiative or leaving an established company and joining an unproven startup. I even moved my entire family to another country to take my VP position at Bluecore. I also was an early adopter of Jbara (now Gainsight) back in 2012. I remember my CEO telling me at the time that I had two weeks to get it implemented or else (we got it done!). You need to go big or go home. Network. Networking is something that you should be doing every day – no matter where you are in your career. Download a tool like Nudge and track the individuals that mean the most to you. Make sure that you’re building and maintaining strong connections by defining who the key people in your network are. These are the people that will help you find your next opportunity, be strong references for you or help you with a work challenge. You should also be thinking about how you can help others. It will come back to you in spades. As an example, I was hired at Influitive by the former CEO of Eloqua who I kept in touch with. Keep learning. You need to always stay up to date on best practices that impact your company as well as additional skills that will help you in your career. As an example, I regularly attend Customer Success conferences as a way of keeping my skills and knowledge up to date. I also use that as an opportunity to network and meet other colleagues. My focus as of late has been honing my leadership skills by reading whatever I can get my hands on. Finding mentors is also an important way to keep learning and growing. Set personal development goals for yourself (which leads to the next topic). Set career and personal goals. If you want to go down the leadership path, be sure that you understand the areas where you need to improve in. If you set a goal to become a CS leader in two years and haven’t set tangible steps to get there such as improving your interpersonal skills, how do you expect to get there? What you can do is following a performance review, ask your manager if you can take leadership training or work with a mentor to improve certain areas that are lacking. This may be acceptable based on your current performance and tenure at the company. For myself, I’ve set goals around writing and speaking at conferences. For the Totango conference, I submitted a proposal to speak on the premise of this blog post and they accepted it. No one asked me to attend. I had to earn it. When it comes to your career, you are in control of it – don’t expect anyone to give you anything. Communicate your wins. Back when I was at Eloqua, our CEO at the time, Joe Payne, was a major proponent of the internal communication tool, Chatter. He would measure who the top posters were as well as those who didn’t participate. He even refused to follow those who didn’t upload a picture! I used Chatter to my advantage by posting my team’s customers success wins. If I created a new post in our customer community, I let people know. If my customer shared some positive feedback, I let people know. I developed a bit of a humblebrag reputation but who cares? No one can toot your horn louder than you. If you want to ensure your accomplishments get recognized, let people including your manager know about them. You can present them at a company all hands or include an update in a company-wide email. Communicate your wins as no one else typically will. Achieve measurable results. At the end of the day, you must achieve measurable results to build a reputation as a trusted leader. It doesn’t matter how much of a cultural fit you are or the experience you have. At Eloqua, I built a reputation for going over and above for our customers and for leading the team by example. My renewal rate was impeccable and I was eventually promoted. When you get to the VP level you are not only accountable to the executive team but also to the board and you are under the gun. As a new leader, you need to figure out what your quick win(s) will be and put your plans in motion.At Bluecore, I significantly increased our customer satisfaction rates which positively impacted all of our metrics as well improved how our department was perceived within the company. You always need to demonstrate measurable results so keep that in mind. Here are some questions to ask yourself: What are the goals of your team? What are you doing to help achieve those goals? What else can you do (find those gaps)? There is no linear path when it comes to becoming a leader in Customer Success. There will be many up and many downs and you need to roll with it. I don’t have all the answers and I’ve had my own challenges along this journey. You need to ask yourself if you are prepared to do some of these things that I’ve outlined. I hope you enjoyed this post. Please let me know if you have other recommendations that you want to share. Hi there! I'm Chad and I'm a Customer Success executive with 15+ years experience building and developing Customer Success teams. This includes implementing Customer Success strategies that have resulted in exemplary customer satisfaction, retention and growth rates. I've held Customer Success leadership positions at Updater, Bluecore, Influitive, and Oracle-Eloqua. I have developed a proven reputation as a driven, creative, outcome focused leader that specializes in hiring the best people, leveraging technology to increase efficiency, building lasting relationships based on trust and creating a culture that puts the customer at the center of everything. I was fortunate enough to be named as a Tenfold 2017 Top 40 Customer Success Influencer and as a Mindtouch 2017 Top 25 Customer Success Influencer. If you are looking for assistance with your Customer Success strategy or require Customer Success coaching, please contact me. 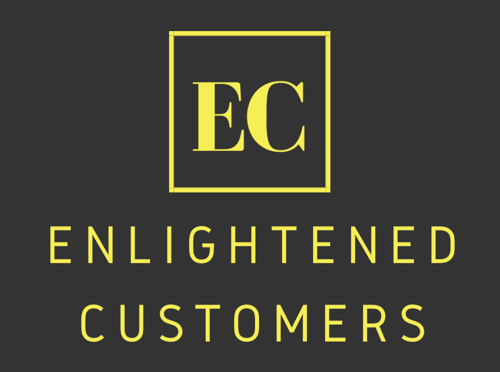 What is an Enlightened Customer?